Today I just shipped my two spare Roland Juno 106 Voice Chip PCB boards to the master himself “Allen” at The Synth Spa. I’ve been wanting to do this forever to try and finally get a Roland Juno 106 Synth that I have in storage here running properly once and for all. I actually have two Voice Chip Boards because the one with the Juno 106 I bought was bad, so I found a guy parting his Juno 106 out on Ebay. He sold me the Voice Chip board and this allowed me to have a second shot at getting the Juno 106 fixed. Allen at the Synth Spa has a very reasonably priced Voice Chip and Board restoration service that I’ve heard rave reviews about. I thought I would give him a try and see if he might have some luck getting my Juno 106 working again. Hopefully one of the boards will work and I can then give him the second one for free as I don’t need that board anymore. 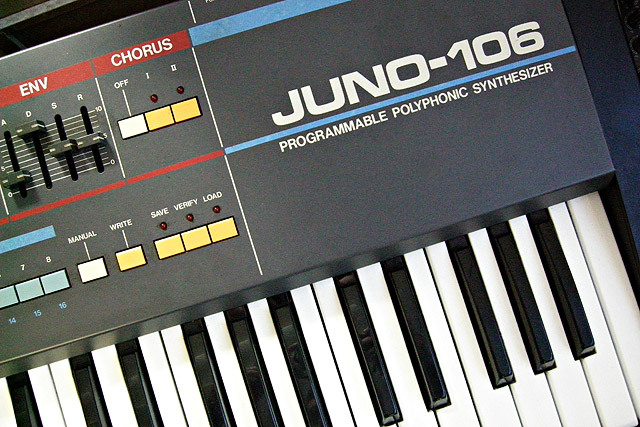 I only have one Juno 106 and if I get another one it will be one of The Synth Spa’s “Meanie” specials. The Yellow or Blue ones look cool. I really like the Juno 106 series synthesizers. I also have a Roland Juno-6 that works perfectly. I recently picked up a Korg Poly-61 mentioned in a previous post as well which compliments nicely the Roland Juno Synths. I’m looking forward to hopefully having an operational Roland Juno 106 so that I can have MIDI control and the ability to save patches. Plus the Juno 106 does sound different than the Juno 6 a little bit. I’m getting pretty fast on the Roland Juno-6, but it will be nice to have the patch save option on the Juno 106. The Korg Poly-61 has patch save but no MIDI. I know these Juno 106 synths aren’t for everyone, but I sure do like the sound. Plus as a kid who grew up in the 80’s, I love that nostalgic analog synth sound. So it’s fingers crossed that “The Synth Spa” can work some magic on my Juno 106 voice board. Stay tuned! This is a cool video for those not up to speed with what the Roland Juno-106 can do. I had to post part 2 of the Roland Juno-106 demo here because this guy really knows how to get the most out of it. Great stuff here! Roland Juno 106 Voice Chips in Reverse? Huh? Recently I Pm’d an individual on a forum who had success with the Analogue Renaissance Voice Chips. I thought I might be able to find out some additional info about installation or the chips themselves. I just recently purchased a full set of Juno 106 Voice Chips from Analogue Renaissance. I live in Japan and had an Ex-Roland tech solder two chips into the board. We have discovered that the chips “possibly” don’t work. It’s unlikely the tech soldered them incorrectly but that’s equally a possibility. I was wondering since you had success, whether you might have done anything special with the chips before inserting and soldering them into the board. I have the newest version and there apparently is a black plastic sleeve over the pins. We just kept them on and inserted the chip as that seemed the most logical and the tech said no problem. Did you just get your chips and solder them on as is? I would greatly appreciate any info about anything unusual you might have done to install the chips. The Roland Tech feels certain I got bad chips. I’m trying to be diplomatic but it’s tough for me to argue with BOTH a Roland Pro and what seems to be a very Professional and Successful Chip Designer at Analogue Renaissance. Thus I’m stuck between a rock and a hard place so to speak. If I can’t get the two existing chips to work, then I’ll likely sell or give away the remaining chips and junk the Roland 106. It’s like an old 73 Volkswagon Bug I used to have in College that did nothing but rip money out of my pocket every month…laugh. In any event, thanks in advance for any tips. Much appreciated. The response I got was this …. 3. You have bad chips, which is not likely as AFAIK the guy tests them prior to sending them. Contact and ask him about this. I greatly appreciated the response. The #2 and #3 response is likely although with #2 I haven’t found anything at all wrong with the main board or wiring. Still looking into that though and doing some meter testing. With regards to the #3 response, that is quite a stretch. If you look at the pins and the main board one will find that it’s near impossible to get these reversed. You simply wouldn’t be able to solder them into the board UNLESS you inserted them upside down which would become obvious when inserting the board back into the Juno 106. Could this mean then “Reverse Order”? If so there should be numbers on the chips that correspond to the numbers on the main board for each slot. I don’t see any numbers and I also don’t hear anyone else discussing such an issue on the Net. Thus I find #1 to be out of the question. So far EVERYTHING works on the main board except those Analogue Renaissance Voice Chips and my one Dead Lower Octave ( E ) Key which I mentioned in a previous post. I appreciate the response from the gentleman above. It only confirms I am dealing with a “mystery” problem other than chips or simply speaking newly acquired bad chips. The mystery continues. Note there is absolutely NO DEFENSE against “the guy tests them prior to sending them”. Nobody knows! That’s why I have to accept the loss. They could have been damaged in transit, myself, the technician, or anything else for that matter. It’s “word” against “word” on that subject which is the reason why I’ve accepted the loss. I don’t doubt they were tested, but I also don’t have proof that they were. There’s nothing I can do but look for alternatives and continue to research the possible problems. Stay tuned and have a great weekend. 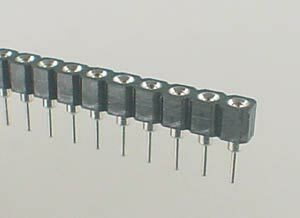 Where to buy IC Sockets Online for Voice Chips? 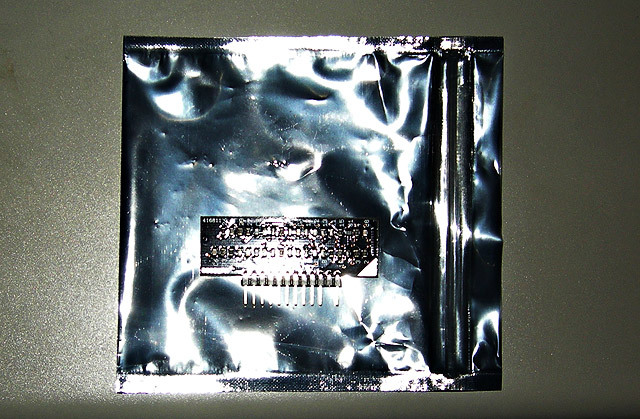 I am currently looking into installing IC Sockets for my Roland Juno 106 to install some new Clones. I will be testing various Voice Ships both original and in clone format. I wish to reduce the amount of soldering and desoldering of the various chips. Despite removing failing ( but working ) Voice Chips from my Juno 106, I cannot get the new Analogue Renaissance Voice Chip Clones to work. So I figured if I could install IC Sockets, I could makes tests and try some originals my friend has. I am located in Japan and wish to purchase these online somewhere but have yet to find them. Any ideas? Thanks. UPDATE: This website came recommended for Snappable IC Sockets. There are a couple of reviews on the site as well. I’ll post the type and location where I buy mine once I get them. If anyone has any recommendations, please comment. Much appreciated. Analogue Renaissance Juno 106 Voice Chip Clones not working? Unfortunately, the Analogue Renaissance chips did not work in my Juno 106. This is NOT to imply that the Analogue Renaissance chips were bad in any way, however, I had a very skilled Japanese Soldering expert do the work and after testing the first two installed chips there was no sound. If I rule out the chips and the technician, it could be a board or some other problem. I should say though that the old chips were working on the board ( with the snap, crackle, popping ), before they were desoldered. Currently the board and chips are being tested by the technician to determine the problem. In hindsight I should have only ordered one chip for testing to save some money. Since I cannot “concretely” determine the problem, I feel the problem could be anything from an unknown board issue, soldering issue, or even the possibility of receiving bad chips. I have no idea at this point, but I can’t rule anything out. Has anyone had to do anything special with the Analogue Renaissance chips before installation? The technician I hired was surprised it didn’t work. I’ll update my post shortly when we find the solution. Thanks! Here’s a Juno 106 Repair page I’ve started with some more info and notes. I’ll be updating this page as I progress with the Juno 106. I ordered a full set of Voice Chips from Analogue Renaissance while they are still available. My Juno 106 is going to be a keeper as it really fits nicely into my current gear setup. I’ll let everyone know how that goes once I installed the new chips. I noticed today though that I had one dead “E” key located in the lower first Octave. I took apart the keys section and removed a the “E” key and found the silicon rubber piece over the contact. I cleaned the upper and lower contact first with the eraser trick and then with some alcohol cleaner. I put everything back together and the “E” key still does not work. Does anybody know what else I can try? Is there any paste or substance I can put on that contact to revive it or create a new connection? For now I can of course I can use midi, move the keys up or down and octave, or simply dance around the dead key. However, my Juno 106 would be utterly perfect if I could just fix that dead key. At least the key is way down low instead of in the middle. I notice I don’t play it that much anyway, but I sure wish I could fix it. It’s the perfectionist in me I suppose. Yank those Juno 106 Voice Chips! Today I went ahead and removed the 1st, 5th, and 6th voice chips from my Juno 106. It was nearly impossible “for me” to get the chips out unscathed, so I elected to simply yank them. Then I used a Solder Pump to clean up the pin holes. Everything went fine. I then mounted the board back into the Juno 106 and fired it up. The static, crackling, and pop sound “Completely” disappeared. Thus I appeared to have answered my question. Dying voices can exhibit “non-stop” crackling, noise, hissing, popping, etc. absolutely. This can prevent you from recording or performing live with the Juno 106. Furthermore, in test mode I CRANKED the volume and played with the VCF frequency slider and noticed that the other three voices had about 5% life still left in them. They were very hard to hear, but I could detect some sound after playing the keys. This helped me to determine that the background noise had to be “hopefully” coming from 1,5, or the 6 voice chip and that they were not completely dead yet. Thus the constant crackling noise. So beware that even if the key sounds dead, it may not be just yet. You may need to crank the volume really high in test mode or even in regular playing mode to try and detect faint sounds when hitting the keys. Note that you’ll also have to watch your ears, but it should be rather quick to hear a synth sound of some sort. Now I effectively have a Roland Juno 103 as people are calling it when you lose voices. However, I am planning to put in an order for the complete Voice Chip Set from Analogue Renaissance this week to both replace the 3 bad voices and have spares in case the other three fail. For those who have pulled their dead or dying chips and still have noise, my guess is that another voice is probably “just starting” to crap out. I was worried this might happen because I would then have to really think about how to detect which of the three voice chips left were bad. That might have been difficult considering they all were sounding about the same. I wish everyone continued success with fixing their Juno 106. I found mine for 50 bucks in Japan. It cleaned up really nicely and with some new clone chips installed, I should be back to jamming in no time. Note that for now I can just play with 3 voices. Ala Juno 103! Enjoy! Juno 106 Voice Chips Go Snap Crackle Pop! There seems to be a ton of questions and comments concerning background static, distortion, crackling, popping, etc. on the Juno 106. Currently I have a Juno 106 with 3 dead voice chips which are 1, 5, and 6. The other three work, BUT, I am still experiencing the “extra” noise that prevents me from using this in practice, live, or in recording. I can tape down the three dead voices and the Juno 106 rocks but with background static noise. My thinking is that one of the other three “working” chips MUST be going bad. Somebody out there in Juno 106 land must have had this exact same problem and my question is whether replacing all or the dying chips solved the background static issue. My thinking is that there are three likely scenarios. (1) A perfect working chip with no background noise and only synth sound, (2) A dying chip with background noise and quirks, or (3) a dead chip with no background noise and no synth sound. Thus dead silent. Can anyone confirm this? Thanks very much.